From mid September until the end of October (as long as our apple supply lasts) customers are allowed the pleasure of picking apples off our dwarf apple trees. Two sizes of bags are provided for picking. Overfilled bags will be weighed and charged by the pound. We provide wheelbarrows for holding and transporting the bags of apples. Be careful to avoid dropping the fruit. We always use two hands if there is more than one apple growing in a cluster. To pick an apple, gently grasp the apple and lift it up or toward the stem. No dogs are permitted in the orchard. No ladders are allowed in the orchard. No vehicles are permitted in the orchard. Only pick on the rows marked as ready to pick. If a row is closed, it is because the fruit is not ripe. Do not climb trees, break branches, shake or damage trees. Do not throw apples and do not throw items in the lake. Please respect the property of our neighbors and abide by the posted speed limit on our road. Visitors assume all risk by entry into Partridge Point Orchard. You can store your fall apples for use during the winter. Place the apples in an untreated plastic bag with NO holes, tie with a bread wrapper and place in a refrigerator. There will be moisture around the apples in the bag, and you want the high humidity so that the apples will not shrivel. Temperature of 34 degrees is preferred. Always refrigerate apples as they ripen 10 times faster at room temperature than under refrigeration. 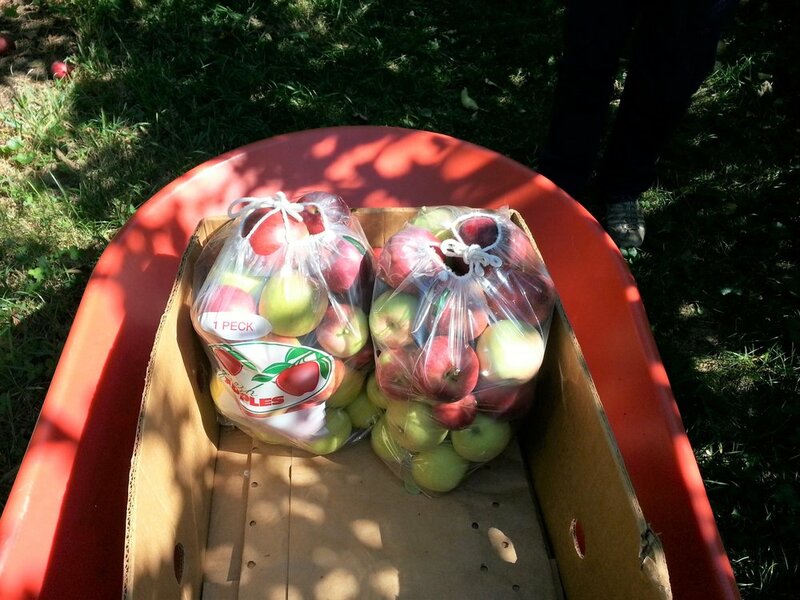 Many of our customers use a box lid or old cookie sheet to hold the bag of apples. That way the apples will not be bruised as the box lid or cookie sheet is pulled in and out of the refrigerator to remove apples for use. Check your bag occasionally and remove any apples not storing well and use immediately.